New Year’s Resolutions means time to start making plans to be a better YOU! The gyms are packed with new faces this time of year, but how long will it last? Did you know that four out of five people who make New Year’s resolutions will eventually break them? In fact, a third won’t even make it to the end of January. That’s what time management firm FranklinCovey found when it polled more than 15,000 customers about their planned New Year’s resolutions. Make 2015 about you, focus on your needs whether it is to quit smoking, lose weight, or spend more time with family and friends. Every year we get a surge right before Christmas of new clients, it is people wanting to get a jump start on their fitness goals before the usual 5-10 pounds of holiday weight gain. I have found the clients starting before January 1 usually stick with the new exercise regimen longer than those who wait for the holidays to pass. Envision your goal and start making plans now to reach it. It is easy to make New Year’s Resolutions, but how do we make them last and become part of our everyday life? How do we keep all the new faces that pop up in the gym in January stay throughout the year? As with any commitment, you have to hang in there long enough to create a habit. Old studies show 21 days to form a new habit such as incorporating more water into your day, this study was done in 1960, and new research is showing it can actually take up to 66 days to form a habit. The key is keeping you interested long enough for the habit to form. From my own personal experience if I make a goal it is better to make small attainable goals that can be rewarded often instead of a huge goal that seems unreachable. I tell my clients to take baby steps, if your goal is to lose 70 pounds, don’t focus on the 70 pounds, focus on one pound a week or 5 pounds a month. 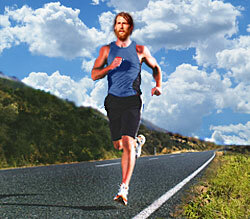 When reaching your small goals, you will feel accomplished which in turn motivates you to keep pushing more each day. Write it down and keep a journal along the way. Tracking your progress will keep you motivated on the days you are not feeling like your accomplishing anything. So many times my client’s feel like they are not getting any results because the scale isn’t moving, in reality they are losing body fat, gaining muscle, and losing inches. The only way to track this is by measuring and writing it down each month. Having a support group is another way to stay accountable, by letting your family and friends know what you are trying to do and having them along for the journey. Having a positive support group around you, you have created an environment to keep you from slipping. If you know you have someone making you accountable to your goal then you’re less likely to be a New Year’s Resolution statistic. Rewarding yourself when you meet your goals is great motivation! 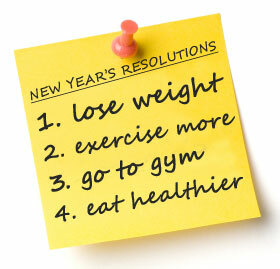 If losing weight is your goal make sure to reward yourself in a way that does not contradict your resolution. Treat yourself to some new workout clothes, spa day, or even going out to eat with friends but choose wisely. Life is going to throw you curve balls, so if your goals get derailed for one or two days, get back on track and refocus your energy. There are a hundred excuses we can use each day for why we aren’t able to meet our goals, but remember you are worth it. Make 2015 the year of changes and be the best possible version of yourself!